Getting pulled over for suspicion of a DUI is no walk in the park, particularly if this is something you’ve never experienced before. No matter how much—or how little—you’ve drank, you’re immediately under the spotlight if an officer has chosen to put on his red and blue lights and pull you over. Your fear and adrenaline may be heightened in this scenario, and if you don’t think your actions through thoroughly, you may do or say something you’ll regret. Don’t let your personal feelings get in the way if you’ve been pulled over. You may not be a fan of police officers, or you might have your own opinion as to the reason you were stopped in the first place, but this isn’t the time or place to voice your opinions. Answer questions with “Yes, sir” or “Yes, ma’am”; it’s also your right to decline to answer questions all together, but you have to be polite and professional in your delivery of the denial. Nothing good can happen by being outspoken and rude to police officers. Instead, keep your opinions to yourself, be polite, and abide by the officers’ requests. The more disrespectful you are, the more difficult you’ll make your situation in the long run. Driving without a license is already breaking the law. If you’re pulled over for a DUI, you’re not able to produce proof of a valid driver’s license, the offer has plenty of reasons to pursue probable cause. If you don’t have a license, never get behind the wheel. Even completely sober, this situation could lead to complicated consequences. Your driver’s license and proof of insurance and registration need to be with you every time you get behind the wheel. Keep these items readily accessible in your wallet or glove box, so you’re able to easily reach for them and have them ready before the officer arrives at your window. The more you rummage around for documents in the officer’s presence, the more likely your actions could make the officer think you’re guilty and not able to control your body and mind. Getting caught without proper documentation, even if you’re driving completely legally and just left your stuff at home, can result in substantial fines and penalties. Never leave home without your license, registration, and proof of insurance. Chances are, the police officer will ask if you’ve been drinking. This isn’t the time to make up a story or go into details about the time and type of alcohol you’ve consumed. She isn’t interested in the context of your endeavors; she’s simply there to decide if you need to be investigated for drinking and driving. It’s not uncommon for people to think the police will show leniency if they admit they’ve only had one drink in the last hour or two. The only thing that admission says to the officer, however, is that you have been drinking. Even one drink provides probable cause. You may refuse the officer’s questions. You have the right to inform him or her that your attorney has advised you not to reply to the police’s questions without the presence of a lawyer, but be sure to do so politely. Alternatively, you can simply stay silent. You should still be prepared to be arrested, but the less you speak, the more you’re helping your case in the long run. Admit nothing; your breath or blood test will be sufficient evidence for the law, should the officer choose to arrest you. The police are interested in getting as much information as possible out of you. They’re going to ask for details about your night—who you were with, how long you were there, what you were drinking. Don’t answer any questions after arrest without an attorney present. Even the most innocent of questions can lead to repercussions you don’t even foresee at the time. It’s best to let your attorney handle all inquiries. Sure, the movies always tell you you’re allowed to have one phone call, but in California, you’re actually entitled to at least three completed phone calls once you’ve been arrested for a DUI. Always call an experienced California DUI attorney before you do anything else. Your second call should be to someone you trust to help you through this situation—perhaps a family member or close friend who can help you contact additional people, such as your employer or other family member members. Save your third call for a bail bondsman, if you need help making bail, or wait for your attorney to arrive to give you further direction. You’re facing criminal charges the moment you’re arrested with charges of driving under the influence; that’s a serious situation that shouldn’t be taken lightly. Criminal charges are complicated, and they’re meant to be navigated by attorneys who have been specifically educated in the legal process. Even if you’re completely innocent, you could find yourself in hot water if you represent yourself in court. You could even wind up convicted. An attorney will have your best interests in mind, so let him use his degree to fight for your rights in court. If you attempt to be your own lawyer, you’ll almost assuredly face unnecessary complications. If you’ve been arrested for a DUI in California, it’s important to employ an ally on your side as soon as possible. Reach out to an experienced attorney who understands the law and will speak on your behalf in a court of law, ensuring you experience the best possible outcome for your unique case. Jon Artz has been defending DUI clients for over 40 years, and he’s available to help you, too. 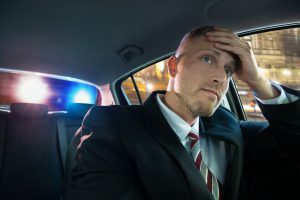 Learn more about what to do if you’ve been arrested for a DUI in California, and contact Jon when you’re ready to talk about your case.